Tap/click a question for the answer. Will I need to purchase tickets in advance for the tour and will I be able to use cash? All tickets MUST be purchased in advance and are required as our tours sell out ahead of time. Tickets for our tours can be booked online with a Visa, MasterCard or AMEX or you may call 888.302.1880. Cash is not accepted. Please review all details carefully before purchasing tickets. Once purchased, tickets are non-refundable since your space is being guaranteed. No-shows will be charged full pice. Please note: TOURS ARE HELD RAIN OR SHINE! 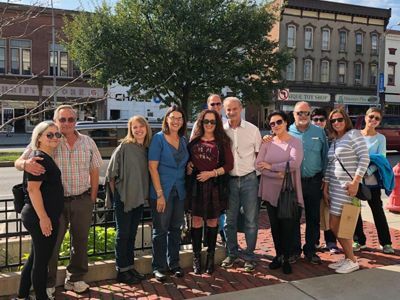 Should you have to cancel, your E-Ticket is valid for one year to use towards the rescheduling of another Finger Lakes Food Tour subject to availability. There are no monetary refunds. Contact us by phone to cancel or inquire about a cancellation. Should you cancel we will: do our best to reschedule you to another day subject to availability or issue a gift certificate to be used within one year. Unfortunately, you forfeit your spots if you are late. The tour is on a scheduled time frame that is why we let participants know upfront exactly where and when the tour begins. We want to make sure the experience is good for EVERYONE, which includes not only our vendors, but EVERY guest on the tour. 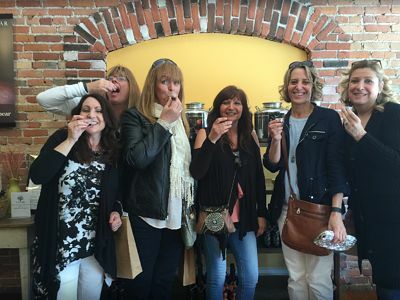 Our food tours are 3 hours in length and feature (5) tasting locations. We will cover approximately 2 miles while walking at a leisurely pace. There will be various opportunities to sit down. Not particularly. We just recommend guests should wear comfortable walking shoes, as we will be covering approximately 2 miles while walking at a moderate, yet leisurely pace. Yes, our tours are wheelchair friendly. What if I have dietary restrictions/allergies? When purchasing your tickets make sure to let us know if you or anyone with you has a dietary restriction. As long as we know well in advance, we will do our best to accommodate our guests needs with advance notice. Finger Lakes Food Tours provide guests with enough food to feel pleasantly and moderately full. In addition to food, your foodie experience covers historical, architectural and cultural information about the area and the visits we make in between locations. Water will be provided at various locations throughout the tour. Other beverages may be purchased such as soft drinks or alcohol at the guests own expense. These drinks can be purchased by cash or card, though cash is preferred. Will I need to purchase a ticket for a child? If the child is under the age of (5) and will NOT participate in the tastings you will not have to purchase a ticket, so families are welcome on our tours. Any child (5) and over who will be participating MUST have a ticket. Please be advised some children/teens have a limited attention span and may not enjoy the historical and cultural aspects of a tour just in general, let alone the (3) hour time involved. Only you know your child and their individual capabilities. When purchasing your tickets, please let us know if you are attending with an infant/child. Are bathrooms accessible on your tour? Yes. Restrooms are available throughout the tour. Will I need to pay even if I am not eating? Yes. All guests much purchase a ticket whether they plan to partake in the food tastings or not. The ticket fees help cover the costs of all the food samplings along with your tour guides wages. Our guides are offering valuable commentary on historical, architectural and cultural insight on this tour, with the intention of everyone getting something out of the experience. Where do the tours start/meet? Rio Tomatlan, 106 Bemis Street Canandaigua, NY. If you are unsure, you may always call ‘the phone number on your e-ticket’ and we will help you locate your guide. Is there parking near our meeting point? Are cameras allowed on your tours? ABSOLUTELY…in fact we’d be disappointed if you didn’t bring a camera and take in the breathtaking views of our beautiful area. Will I be able to shop during the tour? For the sake of staying on our food tasting schedule, we ask that you do not. However, you are more than able to visit any location after the tour. Your guide will be more than happy to give you directions. You will also receive some free tea samples, as well as recipes from some of the places we visit! Is the tour offered in another language besides English? At this time we only offer English speaking tours. No. Gratuities are not included, but are graciously accepted and appreciated by our tour guide. I am a resident why should I take your tour? It’s always fun to learn more about our area and to sample some items maybe not tried at these local establishments. 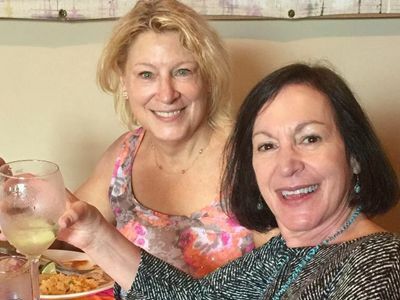 To meet and connect with people from all around the world makes for a fun and memorable experience, not to mention potential and lasting friendships. Pets on any kind are not allowed on the tour unless it is a service dog. YES! 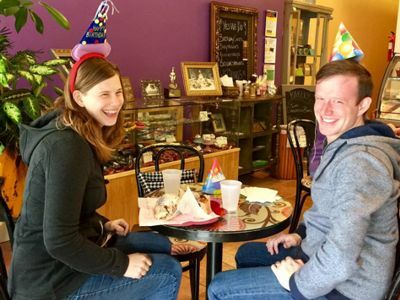 A Finger Lakes Food Tours Gift Certificate is a great gift to give loved ones, friends, or co-workers. Not sure what date works for them? Simply click the link above or the BOOK NOW button then the Buy button under Gift Cards to order and the recipient(s) can pick the date that works best for them. Ideal for anniversaries, birthdays, mother/father’s day, wedding gift vacations AND SO MUCH MORE. **Review all details carefully before purchasing tickets as they cannot be exchanged or refunded.